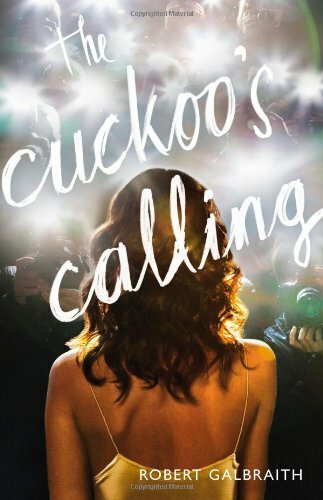 I put this book on hold the moment I found out that “Robert Galbraith” is really JK Rowling. Crazy, the way it was discovered, and I feel sorry for Rowling. I know she didn’t want it out so quickly. But in a way, I’m glad, because I rarely read mysteries, and when I’m interested in finding one, I never know where to look. Rowling did a fantastic job with this one. Cormoran Strike is a private investigator who is down on his luck in many ways. He’s in debt, he has hardly any business, he just left his longtime girlfriend, and he lost a leg in the war. This new case comes to him, involving a supposed suicide of a supermodel name Lula, and slowly, Strike solves the case. Of course. But it wasn’t like most mysteries. It wasn’t a careful examination of each possible suspect. Sure, Strike interviews everyone involved, but it isn’t like things I’ve read in other genre mysteries. He never makes them out, to the reader, to be suspects. I never felt like it was even possible to put together the clues to figure out the killer, which is great. Other than that, though, it was a really well-written book. I love that Rowling can fashion so many different kinds of characters, from all different cultures, poverty levels, and walks of life. I love that she can make lovable characters who are also jerks (I adored the fashion designer in particular). I love how REAL everyone feels. Characterization is definitely where she shines. Reread via audio in May 2017: While Robert Glenister is an excellent narrator, I still felt the exposition/explanation at the end was over-long. Otherwise, the book was great on audio. This entry was posted in 2013, 2017, Adult, Prose and tagged audio, reread, RIP-worthy. Bookmark the permalink.